We’re going to be partly inside and partly outside for the October market. 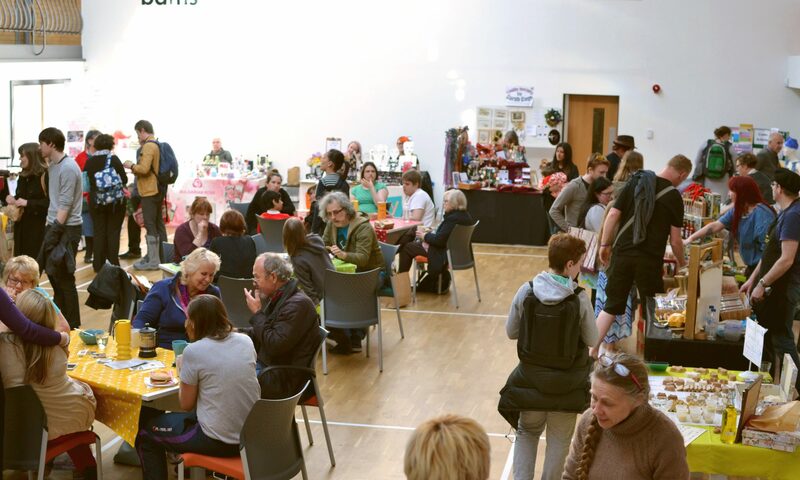 We’ll have a full list of stallholders up nearer the time, but make sure you save the date! It’s the 2nd October, 4-8pm, at the usual place – the Stirchley United Working Men’s Club. If you’re new to the market and you don’t know how to find us, then see this fantastic map drawn by Genevieve Pearson, she’s one of the Stirchley Market founders, and 1/4 of Stirchley Happenings. 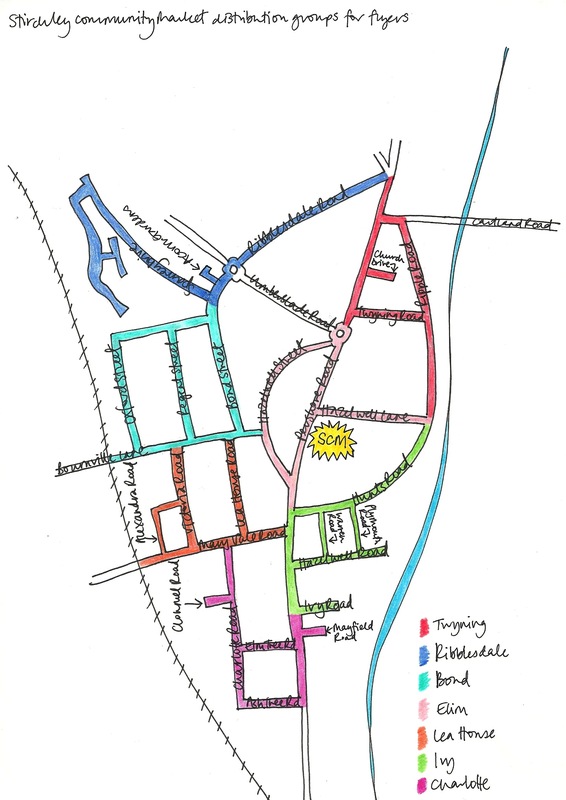 This map was drawn when the market was set up, with the closest streets around the market coloured in batches for the team of six committee members to flyer. Our committee is only four strong at the moment – although the volunteers that have left have left to do rather exciting things, Loaf opening up a shop, Roxie completing her masters, and more! We’ve asked on twitter and facebook if anybody can help us with flyering for the next market, and we’ve have a great response – it’s going to be a huge help for us, and hopefully a boost for the market, so thank you very much! See you on the 2nd October! Happy to help delivering any leaflets if that’s the sort of flyers you are referring to.